Upscale Australian skin care brand Aesop will open its fist store within a mall in Canada in a 1,000 square foot space at CF Toronto Eaton Centre. When it opens towards the end of this year, the store will be the company’s ninth store in Canada as the brand expands its presence nationwide. The CF Toronto Eaton Centre Aesop store replaces a Birks jewellery store location which recently closed in the mall. Aesop will occupy one of the most strategic retail spaces in CF Toronto Eaton Centre, being located between AllSaints and BonLook and facing toward’s the mall’s Zara and Nordstrom mall entrances. The store will be designed by an in-house team at Aesop. 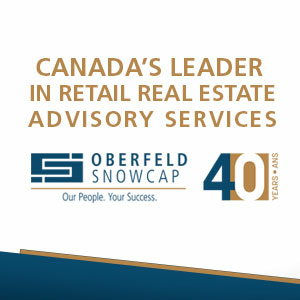 Hilary Kellar-Parsons of brokerage Avison Young acted on behalf of Aesop in negotiations with landlord Cadillac Fairview. Ms. Kellar-Parsons also represented Aesop in its other two Toronto lease deals which saw Aesop open in the summer of 2015 at 880 Queen Street West, followed by the spring 2016 opening of a store in Toronto’s ‘Rosedale’ area at 1116 Yonge Street. CF Toronto Eaton Centre will become Aesop’s third store in Toronto. Aesop also operates stores in Montreal and Vancouver. The brand’s first store in Canada opened in Vancouver at 19 Water Street in the Gastown area in the summer of 2015, in a 615 square foot retail space contained within a heritage building. Aesop’s second Vancouver store opened in early 2016, spanning 1,950 square feet, and is located in the Kitsilano area at 2072 West 4 Avenue. Brokerage CBRE in Vancouver represented Aesop under the direction of Martin Moriarty and Mario Negris. Montreal is currently home to half of all of Aesop’s stores, with all four having opened over the past couple of years. Locations include Old Montreal (239 Rue Saint-Paul W), Mile End (23 Rue Saint Viateur W.), Petite Bourgogne (2493 Rue Notre-Dame W.) and in the affluent community of Westmount (4968 Rue Sherbrooke). Aesop’s real estate strategy, until now, has been to open standalone retail stores on commercial high streets in Canada as well as in much of the United States. Given Canada’s variable climate as well as the strength of its malls in terms of sales productivity, brands are increasingly looking to open in enclosed centres, including luxury brands which would typically only open on urban street fronts. As a result, shopping centres such as Yorkdale in Toronto are seeing an influx of luxury brands and other retailers which might typically locate in the Bloor-Yorkville area or on trendy Queen Street West. Given Yorkdale’s remarkable productivity, as well, the mall is a likely target for the brand. Aesop also operates shop-in-stores within stores such as Saks Fifth Avenue, Holt Renfrew and Nordstrom in Canada — the Saks locations at CF Toronto Eaton Centre and CF Sherway Gardens locations in Toronto are concessions. Brands are opening standalone physical stores like never before, and various other beauty brands are also doing so in order to expand brand awareness while not relying solely on larger host retailers such as a department store. Beauty brand Deciem, based in Toronto, primarily distributes from a network of standalone stores that are on urban street-fronts as well as in shopping centres, and it also wholesales through retailers such as Hudson’s Bay. Other brands that typically operate in department stores are opening standalone locations as well. Urban Decay, for example, now has standalone stores in suburban Toronto and Vancouver and Clinique recently opened its first standalone location in Canada at CF Richmond Centre in suburban Vancouver. The trend is expected to continue, according to brokers representing brands that are increasingly seeking to branch out by operating their own retail environments. Aesop was founded in 1987 in Melbourne by hairdresser Dennis Paphitis. Product packaging is simple, and its quality is considered to be exceptional. It sources plant-based and laboratory-made ingredients, and uses only those with a proven record of safety and efficacy. It operates free-standing ‘signature stores’ as well as wholesale operations in a variety of retailers, high-end department stores as well as smaller independents.